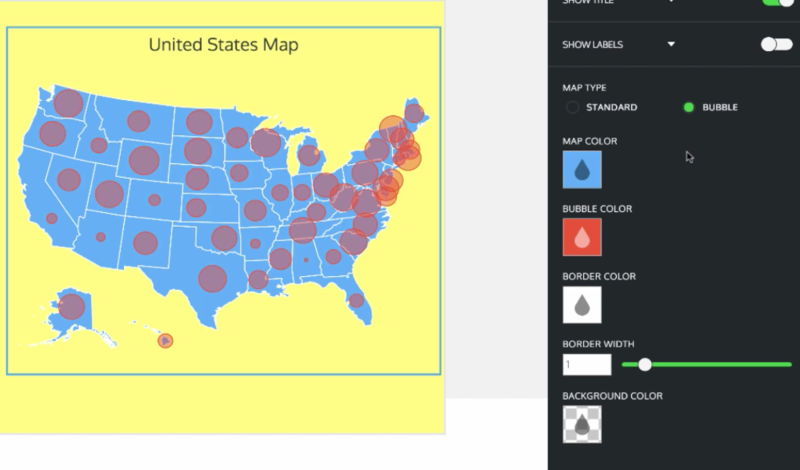 How do I edit maps in my infographic template? 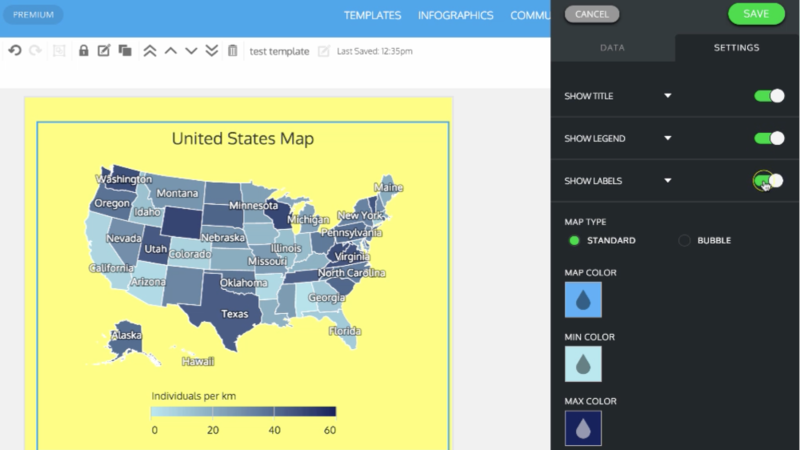 Click on Maps on the left panel and drag your desired map onto the canvas. 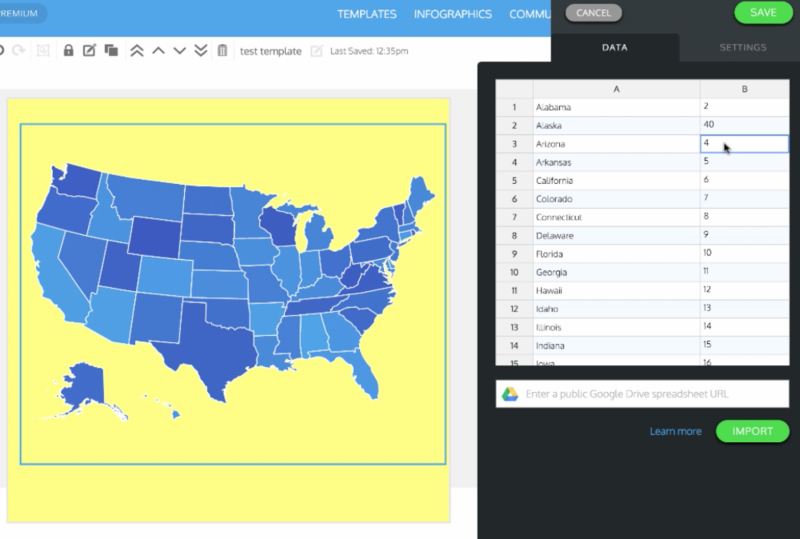 To edit, double-click the map to open up the right panel. 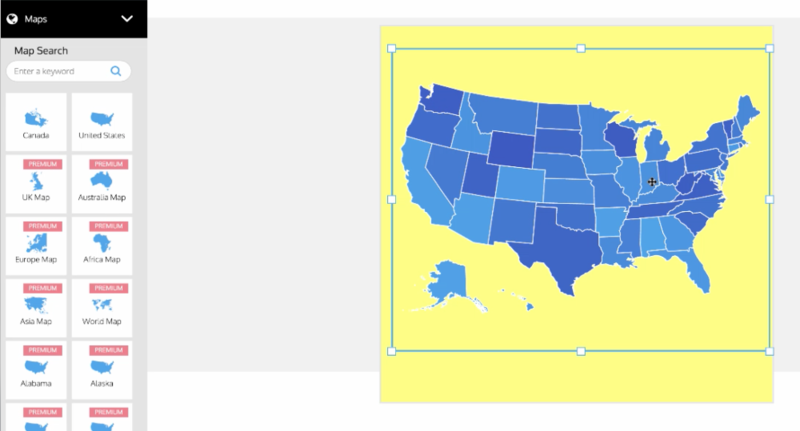 You can edit the values for each state or province by changing the numbers. The states/province will change colors based on the max and min value. 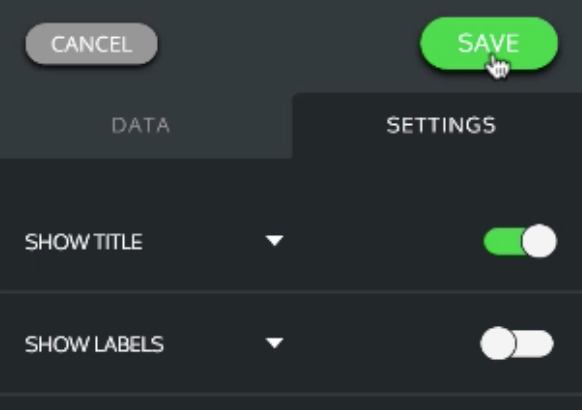 You can change the color of these values by going on to the Settings tab. Under the Settings tab, you can also turn on the titles, legends and labels of the map. You can also click the arrow within each option for further customization. 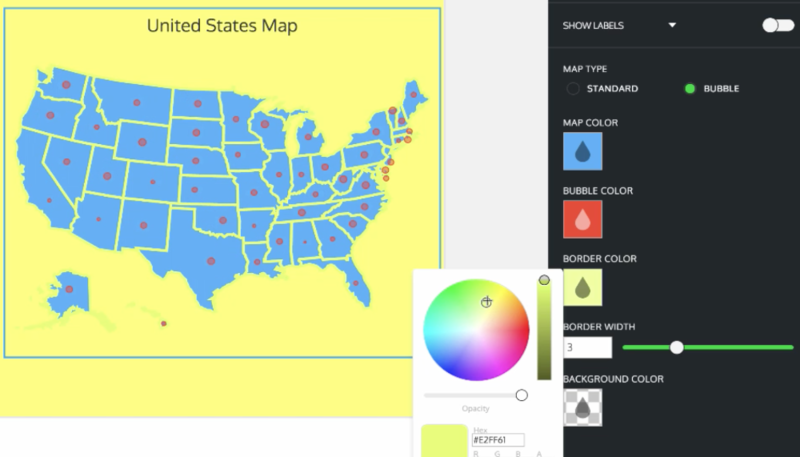 The standard map type displays the values in color but you can opt for the bubble map type to display those values in bubbles. 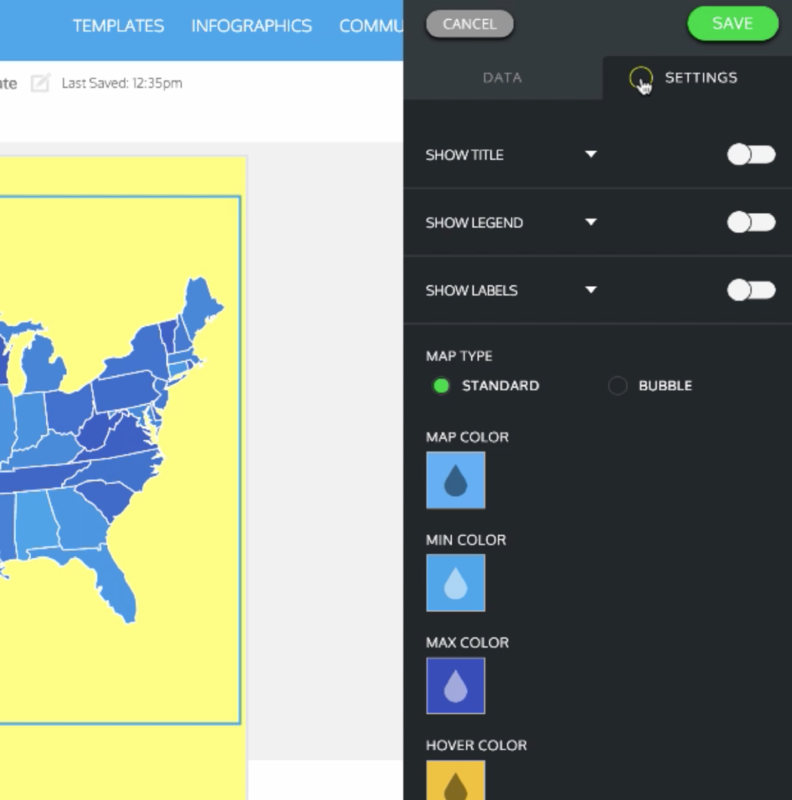 You can also change the border width on your map as well as the color.